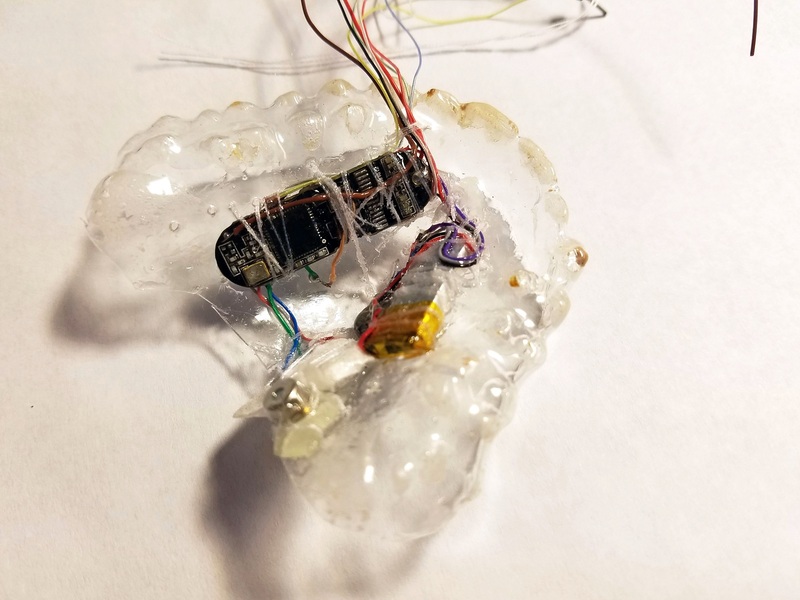 This wireless respiration monitor is worn entirely inside a user's mouth, and streams data to a Web Bluetooth-enabled web application. The device measures the air pressure, humidity and skin temperature inside the user’s airway. 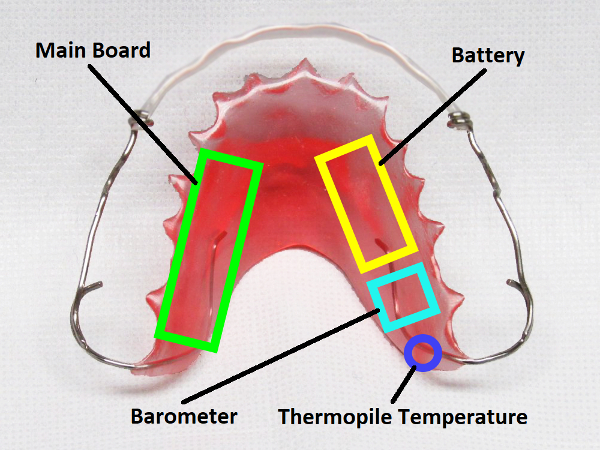 In short, BME280 air pressure sensor + MLX90615 thermopile thermometer + hacked miniature nRF51822 based activity tracker mounted on an ultra-thin custom dental retainer. Our primary goal is to detect opiate overdose. Depressed respiration is the best way to detect overdose and the only approved indicator for the administration of Narcan (Naloxone). Full waveform respiration data is surprisingly difficult to obtain. Spirometers, chest-straps and pulse oximetry (including photoplethysmogram) are relatively inaccurate - particularly when respiration becomes depressed. 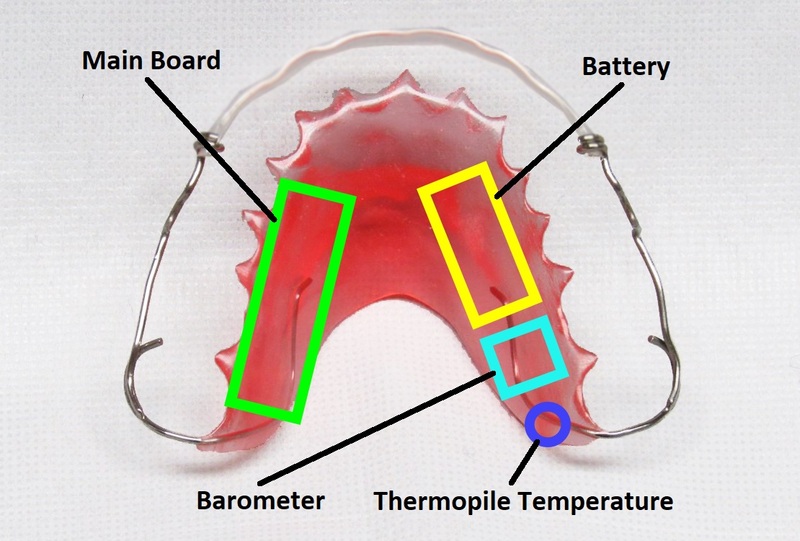 There are many potential applications and the device could be built using other form factors (bite stick, mouth guard, integration into tracheal intubation. The device contains a 16Mhz ARM Cortex M0 microprocessor combined with a Bluetooth radio for wireless communication (Nordic nRF51822). We stream data to a Web Bluetooth enabled web application. 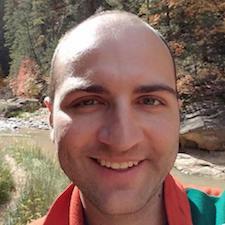 The streamed data is displayed graphically but can also be used to train and then apply data to a LSTM MLP neural network for the purpose of tracking respiration. The BME280 air pressure sensor is extremely sensitive and can acquire the respiration waveform regardless of whether users breath through nose or mouth. Even very shallow and slow breaths can be seen with the naked eye in the graphically displayed data.